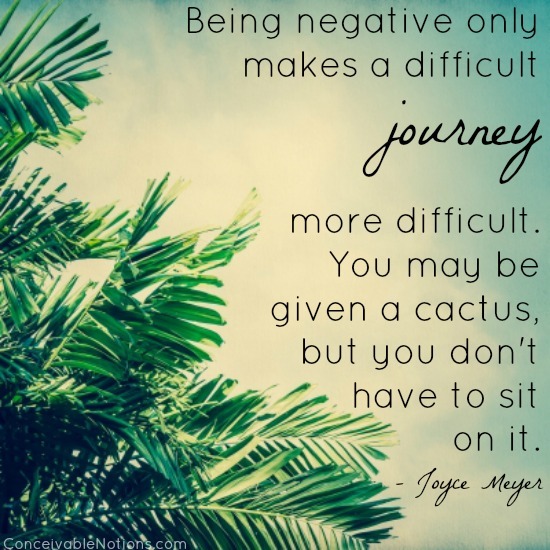 Conceivable Notions: Our TTC Journey: Our First IUI! 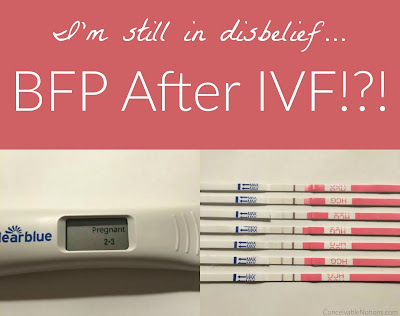 When we had our first RE appointment, my period was due in just a short time. My RE wanted me to complete all my bloodwork before then, and as long as everything was as expected, I was to call them on CD 1 to schedule both my HSG and have them put me on the schedule for an IUI. My RE said I could do the HSG and IUI in the same cycle, and we were eager to get started so we jumped at the chance! My HSG was scheduled for CD 11, which made me a little nervous. I was afraid the clomid would change my ovulation date and I would ovulate too soon, but thankfully that didn't happen! I started taking 50 mg Clomid on CD 3. I was pretty nervous! I had no idea what to expect. I've heard some women say they have horrible side effects on Clomid, while others don't notice a difference. I'm quite happy to say that I don't have any side effects while on Clomid! But I was so nervous to take the first pill. I'd done a lot of research about Clomid, and I read that drinking pomegranate juice, red raspberry leaf tea, and taking vitamin E can help to ensure your lining develops nicely. In some women, Clomid causes their linings to not grow thick enough prior to ovulation. I wanted to do everything I could to make sure that didn't happen! I also took probiotics for most of the cycle, because of the antibiotics I had taken for the HSG. 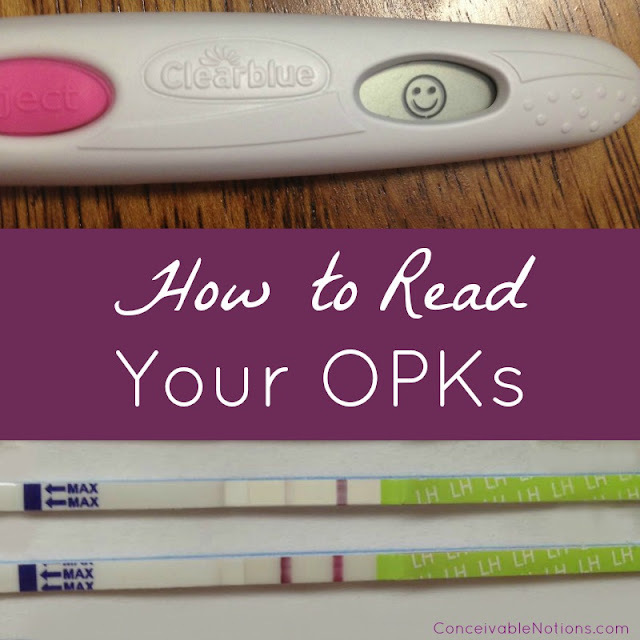 The day after our HSG, I had a positive OPK! 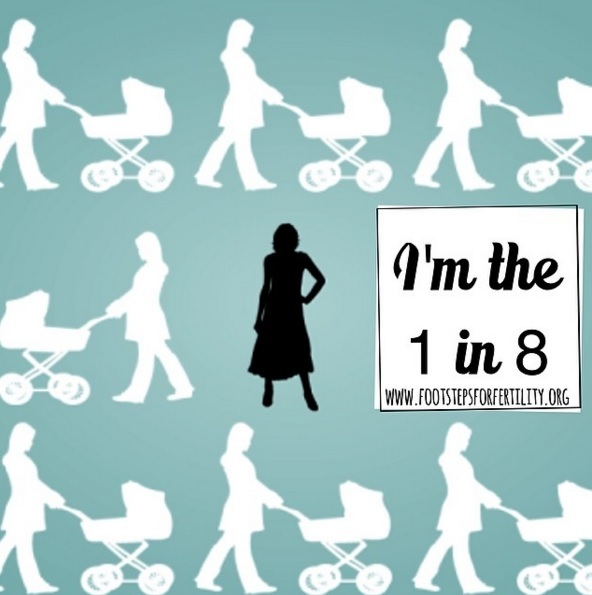 It was CD 12, so our IUI would be on CD 13. I called and got us scheduled for the next morning. I was already starting to feel a bit crampy prior to ovulating. By the next morning, I was feeling lots of cramping and pressure. I was sure I had multiple eggs! We dropped off my husband's sample, then went out for breakfast. We needed to wait for the sperm to be washed and prepared first before our IUI. A couple of hours later, we went back. The first thing the doctor did was an ultrasound to check my lining and follicles. My lining was great at 10.2 mm! They like it to be over 7, with over 8 being ideal. I was a little disappointed to find out I had only one follicle, but it was a big one at 28 mm, so that explains the pressure I was feeling. I was actually in the process of ovulating right as they were doing the ultrasound - so fascinating! We had to sign off on the sperm sample before proceeding. The numbers were a bit lower than we were expecting, with the post wash count being 16.5 million and 42% motility. But the doctor said the numbers were above what they want to see, so they were happy with them. 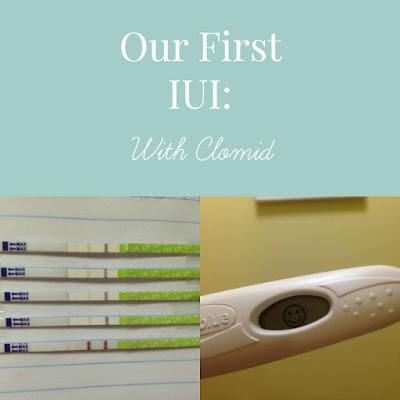 Once we got started with the actual IUI, I got a little nervous. But I figured it would be similar to the HSG, and it was. It was really quick and over before I knew it. All that was left to do was have the table put on an incline (to help the swimmers!) and just lay there for 15 minutes. Then to go home and start the TWW! I had my hopes SO high for this cycle. I was sure that we just needed a little boost to get there. Unfortunately, my period came right on time and it was time to move onto the next cycle. I was disappointed, but I knew that it often takes a few tries to be successful.